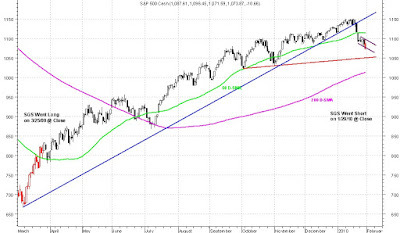 Chart below shows a trend line support at SPX 105X and 200 D-SMA support at SPX 101X. I think Market is oversold and due for a rebound. Then we very likely revisit SPX 1000. Beyond that who the heck knows.